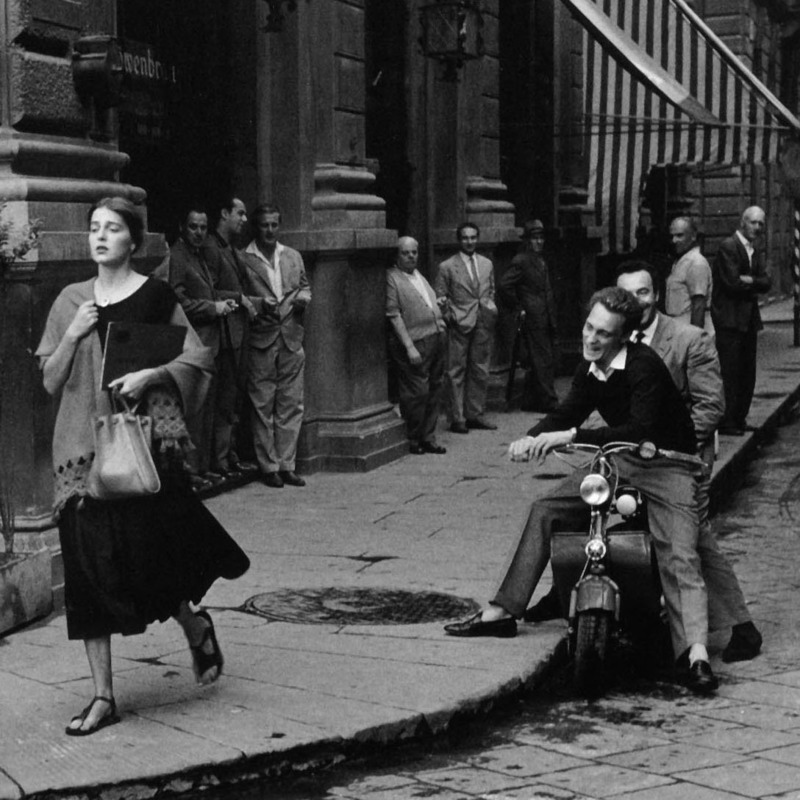 "An American Girl in Florence, Italy" was photographed by Ruth Orkin in Florence Italy in 1951. It is without question one of the most iconic images in the history of photography. 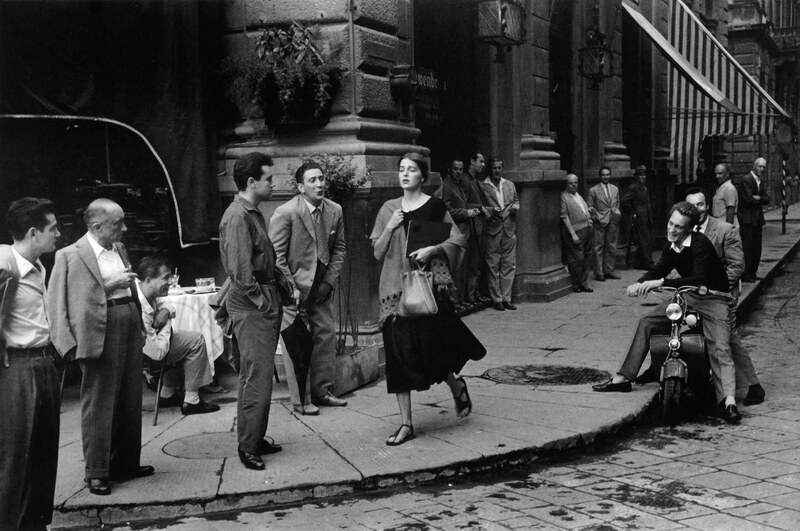 Born in Boston, Massachusetts in 1921, Ruth Orkin lead an ambitious and accomplished life. She grew up in Hollywood where her mother was a silent movie actress. At 18 years of age she wowed the nation and made headlines by traveling from Los Angeles to New York, 2,000 miles, in four months, on her bicycle for the 1939 World’s Fair. In 1941, Orkin became the first messenger girl at MGM Studios, but was not allowed to join the Cinematographer’s Union because she was a woman. 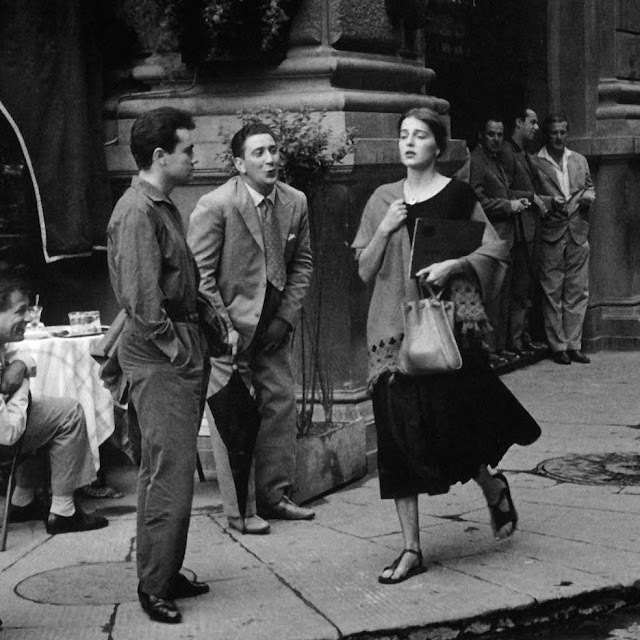 Ruth Orkin then moved to New York to pursue her photography career, with a great deal of success. Ruth Orkin is best known for this 1951 photograph “An American Girl in Italy”, and her celebrated photographs from the window of her New York City apartment in 1978, looking over Central Park, entitled “A World through My Window”, which she continued in 1983, “More Pictures from My Window”. She is also known for her realistic portraiture depicting Europeans and Americans in the 1940s, 1950s and 1960s. Ruth Orkin won many awards, including: 3rd prize Winner in LIFE Magazine’s first Young Photographers Contest in 1951, and the First Annual Manhattan Cultural Award in Photography in 1980.